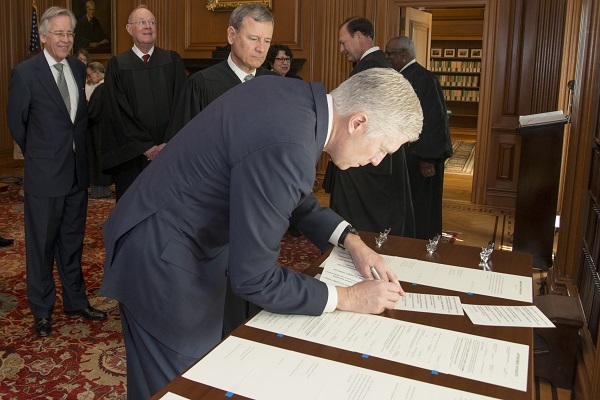 Judge Neil M. Gorsuch signs the Constitutional Oath in the Justices’ Conference Room, Supreme Court Building -April 10, 2017. After a long battle, Trump’s nominee for the Supreme Court, Neil Gorsuch has finally been sworn in as Justice. This can turn out to be a tipping point in the long battle for separation of Church and State. Gorsuch is well-known as a champion of religious liberty, and his nomination by the president is not very surprising. Gorsuch may prove to be a very powerful aid to the president and other political figures who are fighting for greater religious liberty in America. 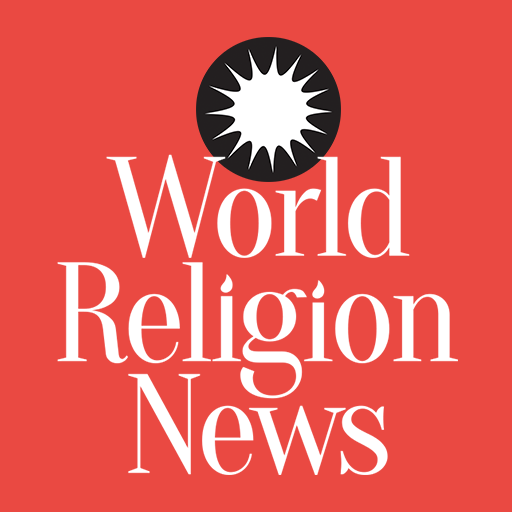 As a Supreme Court Justice, Gorsuch’s rulings can turn out to be more favorable to religious parties in cases where open expression of religion is involved. The swearing-in ceremony comes almost two months after he already assumed the duties of the role. The president and his wife Melania Trump were also present for the ceremony. In these two months, Gorsuch has already exhibited his strict, simple way of dealing with cases, having slammed lawyers for what he called "linguistic somersaults" – referring to their complicated arguments giving new interpretations to the laws. For Gorsuch, it is the simple, straightforward interpretation of the law that matters in Court, and nothing else. The fact that Trump was the one to back his nomination established without doubt that Gorsuch is a believing, practicing Christian. However, he has not been very open about details of his religion until now. It was at the White House with the president in March when details of his spiritual life surfaced. He revealed he was raised a Catholic, but is today an active, practicing member of St. John’s Episcopal Church in Boulder, Colorado. Surprisingly, the Church’s tenets are very open and liberal, unlike the beliefs of the evangelicals who supported Trump. The Church is open to members of the LGBTQ, has an accepting attitude towards Muslims, and is also quite progressive in its feminist attitudes. This has also made people suspicious of him. A tweet from Bryan Fischer, a host on the American Family Radio Network, warned against him saying, "Be advised, Gorsuch attends a church that is rabidly pro-gay, pro-Muslim, pro-green and anti-Trump." However, most Catholics and evangelicals insist Gorsuch is a true Republican through and through, and is truly conservative in his beliefs. His affiliation with a Protestant church and his conservative way of life may have made him a key factor in ruling in favor of the Lutheran church in the Trinity Lutheran v. Comer case.